I was in a drawing mood, so I drew some cats and each one has a personality. 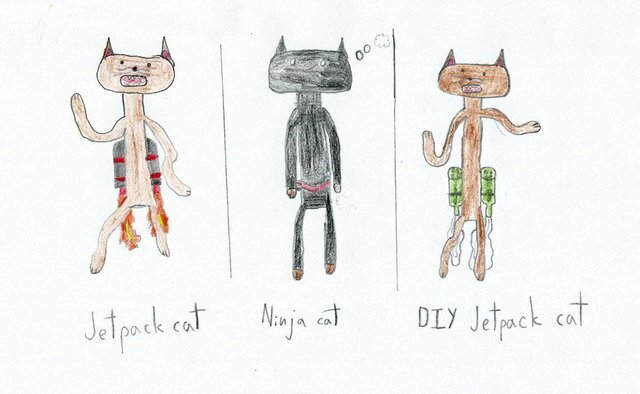 The first one is a cat with a jetpack and he is freaking out (I did not know that "Jetpack cat" is an Overwatch character and I don't play Overwatch). The ninja cat is a silent cat planning ahead. And finally the DIY jetpack cat is trying to be cool with it's soda jetpack.